← Good Heavens—Another Post about Opening Lines? 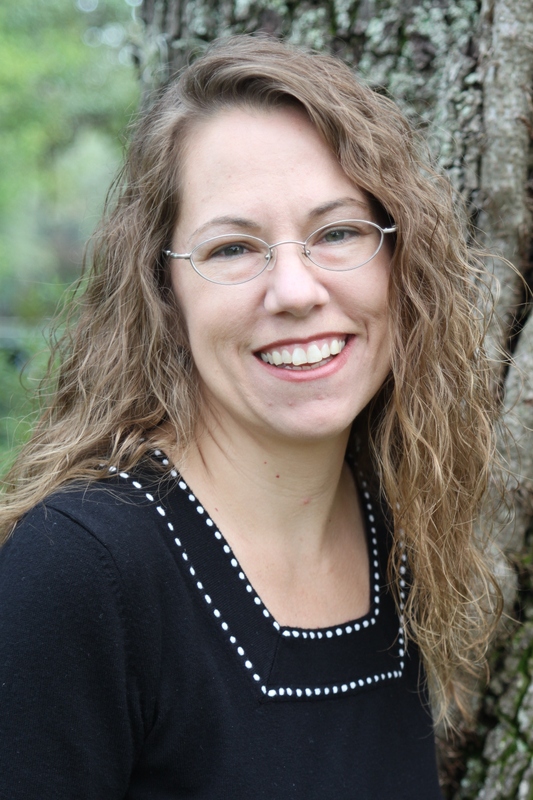 Starting and finishing a novel is a Herculean task, so today mystery author Kelly Miller is giving us some great tips on how to stick with it, no matter what! With the world running at warp speed, it’s easy to get distracted from our writing projects. Away from them too long and we might find ourselves blocked. Sometimes we need to find new strategies to jump start our creative juices. Remember, writing a novel is a marathon, not a sprint. We need to create good habits if we’re going to make it across the finish line with a completed novel. Just Keep Swimming – To avoid getting stuck in the middle of your story, stop looking back. Accept that your first draft will be crap. It’s meant to be; it’s inevitable. If you keep going back trying to perfect your earlier chapters, you’ll lose the flow of where your story is headed. Talk it Out – Find another writer to discuss your story ideas with. This person can be extremely helpful as a sounding board if you’re stuck. Sometimes just saying the words out loud can help the ideas to start flowing again. Two great places to start connecting with other authors online is World Literary Cafe and Writing Forums. Pick a Writing Time and Stick to it – If you want to summon your “muse on demand,” create a consistent writing time. Even if you only knock out a page a day, your brain will get used to the time you’ve allotted to writing and your muse will be more likely to show up on a regular basis. Set a Goal – If you’re a person who feels validated by achieving a goal, set a daily word count and write until you hit it. Start low at 500 words and if you blow that out of the water, adjust it. If you don’t want to feel trapped by having to write a certain amount of words in a day, change your goal and set the egg timer. Don’t get on your social networking sites, don’t answer the phone, just hide away from all distractions until your time limit is up. Need more inspiration? Check out Write or Die. It’s a computer application that works to eliminate writer’s block by using a reward and consequence system. Read a Favorite Book – As a writer, I’m sure you know there’s nothing better than getting sucked into a really good book. If your creative juices aren’t flowing, try reading one of your favorite titles. Not only will you be reading for enjoyment but you’ll find yourself stopping along the way to appreciate the author’s word choice, sentence structure, character development, etc. All of this can spark ideas in your own writing. Speaking of finding inspiration through reading, Kelly Miller has a new mystery novel out! Building on the success of the award-winning first book in the Detective Kate Springer Series, Dead Like Me, Kelly Miller brings you the second installment, Deadly Fantasies. A ringing phone at 1:17 am is never a good thing, but Homicide Detective Kate Springer doesn’t have the luxury of ignoring the call. On the other end of the line, a confessor admits to murdering her husband. Dr. Nina Grace needs help, and Kate knows it’s time to repay a debt. No matter the consequences, Kate must fight to keep the investigation from solely focusing on her friend. But will Kate’s blind loyalty be her downfall? AND…did I mention you can win a signed paperback of both Dead Like Me AND Deadly Fantasies? Just follow THIS LINK! What do you do to keep yourself going to the finish line? Do you use motivation strategies, rewards or get strength from the support of your writing group? Let me know in the comments! This entry was posted in Focus, Guest Post, Time Management, Uncategorized, Writer's Attitude, Writing Time. Bookmark the permalink. It is very easy to get bogged down or derailed, isn’t it? these tips can help us stay focused and on task, no matter what. Thanks for posting, Kelly! Great advice! I particularly believe in #2 and #7. I’m very lucky that my partner is a writer too, and, more importantly, a writer with a very different perspective and set of skills than I have. I tend to be more of a soft type — I believe in the suspension of disbelief and intent and purpose outweighing the important of reality and function. Meaning that my worlds/characters sometimes do things that is meaningful to the idea of the novel, but ultimately impractical/unsustainable/improbable in reality. Partner is that sort who will swoop in and ask “How?” It can be crazy annoying, but it frequently turns out to be invaluable advice was I swallow my pride a little and listen. And for #7 — reading a book — SO TRUE. I imagine there are many others like me for whom the cause of writer’s block or hitting a wall isn’t a matter of plot/content, but is a matter of voice/style. Occasionally, I lose my author voice in the midst of writing and have a really hard time proceeding because I don’t know how to write what I want to write. Picking up a good big from an inspiring author is always the cure … although I have to be on the lookout for becoming a parrot afterward. Great advice – it’s easy to let that internal editor take over and drag you down!! I think we’ve all struggled with finishing at one point or another. I’m in the middle of a novel right now and have been derailed by a death in the family. I was really cruising there, and now my mojo’s gone. I can see how easy it would be to just let it ride, and never finish. So I’m going to take your Just Keep Swimming advice to heart and jump back in as soon as I can. Thanks for posting! I’m sorry to hear about the death in your family, Becca. Life definitely has a way of derailing our writing proects. I’ve found writing is almost like a muscle. It atrophies if it isn’t used every day. When I finally got back into the swing of writing my third book, after editing my second, I found I could barely sit and write for an hour straight. But every day I was able to write for a longer period of time. I just have to remember to exercise that writing muscle every day. Very helpful post, Kelly! I have issues with shinies and isuckitis. Getting that first draft done can be a task and a half. But yesterday, I finished one! Now, to see it through all the rewrites and edits, lol! Glad to see all of you enjoyed the article. For me personally, if I need a little inspiration a great book is always the key. There’s nothing better than reading a well crafted line to get my juices flowing again. Thanks again, Angela, for allowing me to be a guest on your blog. Wonderful reminders. We all need a little kick in the pants now and again. Thanks for the boot!Your books look like a lot of fun. Thanks, Rosi. I also need my own kick in the pants every once in awhile. I think a good friend who’s also an author can be helpful in that area. My friend Lisa is that for me. Almost like an accountability partner. Great tips Angela. I know a word-count really helps keep me on track daily. I’ve always been a Seat-O-the-Pantzer with a little outlining here and there. So any advice counts! Great tips. As a swim mom, I loved the advice to keep swimming. Thanks for the advice.